Note: Antigorite is not listed in our database for this locality. This specimen may be misidentified or the mindat list of rocks and minerals at this locality may be incomplete. 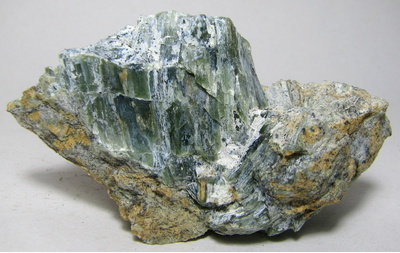 Antigorite - an approx 6 x 5 cm section from an area just north of Livada which is near the north eastern part of the island. Self collected 6/28/13, it was found off a dirt road overlooking the area near the lighthouse.